Locked out since Jan. 21, three employees at Lehigh Cement Ltd.’s Regina Cement Terminal are about to get a helping hand from Saskatchewan’s largest labour organization. The International Brotherhood of Boilermakers (IBB) is teaming up with the Saskatchewan Federation of Labour to hold a solidarity picket on April 24. The union’s Local D359 represents the three packaging and distribution employees. At the centre of the dispute, IBB reports, is the company’s demand that employees work Sunday without overtime or bonuses. The union reports a management negotiator has agreed to terms three times only to renege on the agreement and return to the table with demands for further concessions from the employees. The IBB filed charges of unfair labour practices against the company with the Saskatchewan Labour Relations Board. The union reports the board is unable to hold a hearing until June due to the company’s delay tactics. 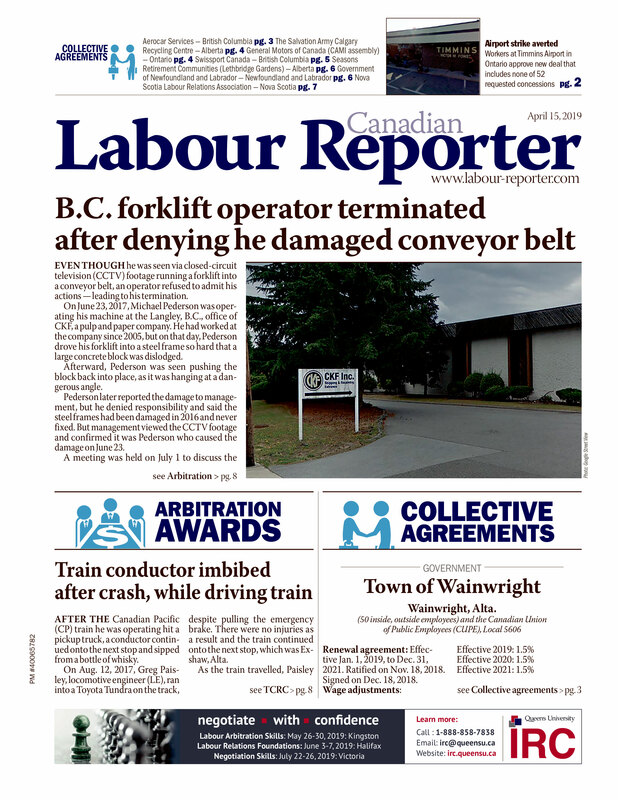 “The Labour Board needs to use its authority to force this company to negotiate in good faith,” Maloney said.